How big will my cavoodle grow? A question that we commonly get asked is ‘How big will my cavoodle get?’ or ‘I only want a certain sized puppy and I’ve been told that my spoodle needs to be x cm tall’. ‘Are your poodles mini or toy poodles?’ is another question we are asked. Here you will find some answers to your questions and some help with how this will affect you and your relationship with your puppy. What is a miniature versus a toy poodle? Poodles have been in dog shows for years and they are grouped into three categories; there is the toy, miniature and standard poodle. The two that that our customers predominently ask about are miniature poodles and toy poodles. If you want to categorise them, a toy poodle’s height is at maximum 28cm and the miniature poodle’s height starts at 28cm. The ‘height’ of a dog is measured at the withers of the dog, which put simply is around the highest point of the shoulders (rather than at the head of the dog). Do toy and mini poodles differ in temperament? The difference in temperament is little, but in general the smaller poodles may be a little ‘yappier’ and more fragile given their smaller size. The miniature poodle is very good for families, and is the most rounded of the three sizes. It was so good to train that it was used in circuses for years! What does this mean for your and your puppy? 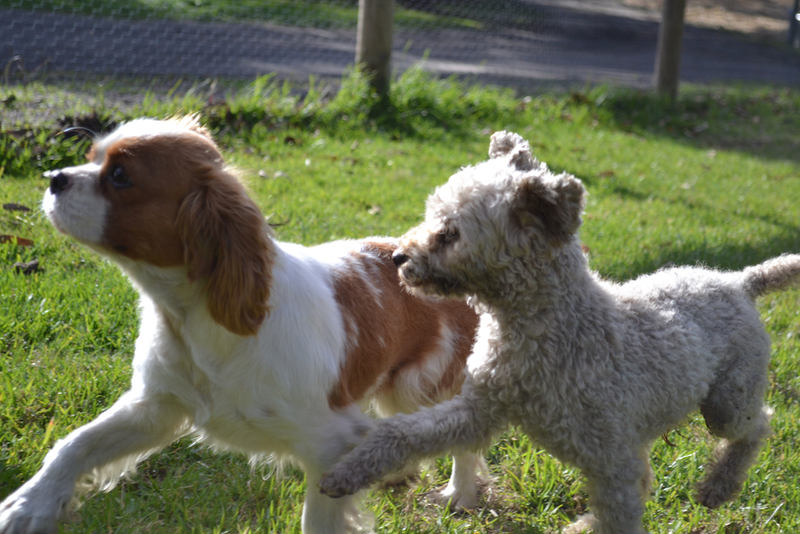 We breed dogs at Banksia Park Puppies for temperament and to fit perfectly into family life. For this reason we cross breed mostly King Charles Cavaliers, cocker spaniels, and golden retrievers with our poodles. The size of your puppy is based on both mum and dad – not just the poodle. Mum and dad’s genes mix together to make your puppy, and we cannot be sure quite which parts of mum and dad’s DNA that the puppy will pick up. This is similar to the blog that we wrote on why your puppy might actually be a different colour to both it’s parents (see here). So if your mum is a King Charles Cavalier and dad is a poodle (making one of our gorgeous cavoodles!) then mum would be about 30-33cm at the shoulder and right now our poodles range from 27cm to 42cm. 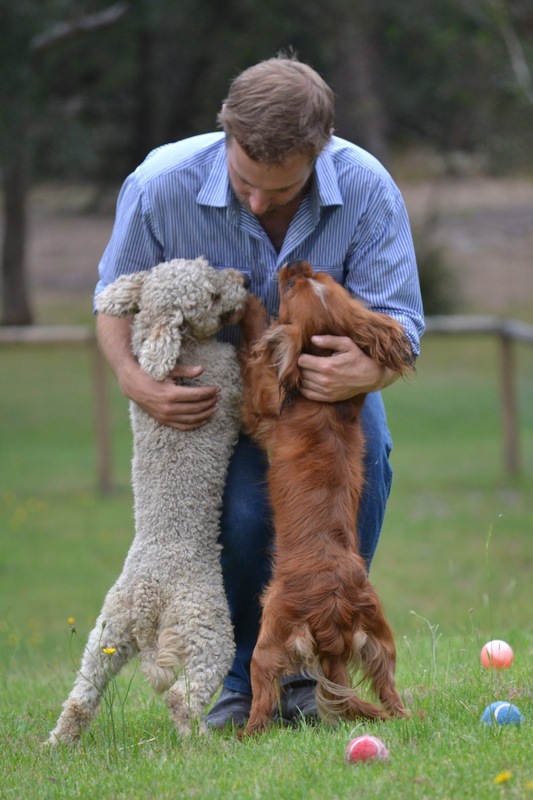 The difference between a puppy bred with our very smallest poodle 27cm high and our very largest at 42cm high may be different in size – but the difference between one of our 30cm and 35cm poodles we expect would not actually be very different – if at all. We expect our dogs (alongside good behavioural training) to be the perfect companion who will fill your lives with happiness. They should be able to sit with you at a café, run or walk with you, play with your children, and go with you wherever you go as a family. With the proper behavioural training, this is the potential of the dog that you are bringing into your family. The thing to remember is the question of whether your dog is 2 or even 3 or 4cm different than your next-door neighbours dog may actually be insignificant when you have the perfectly behaved dog at your feet! 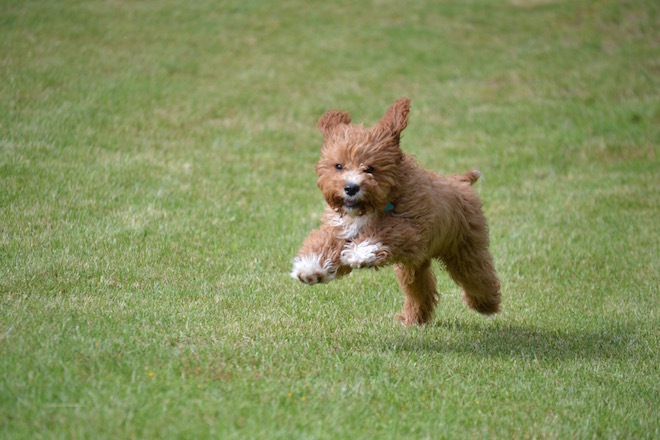 So what should you know when you think about the size of your cavoodle or spoodle? We don’t categorise our poodles into toy or mini. This is mostly done for showing dogs. We don’t feel that it helps to identify the size of your puppy. 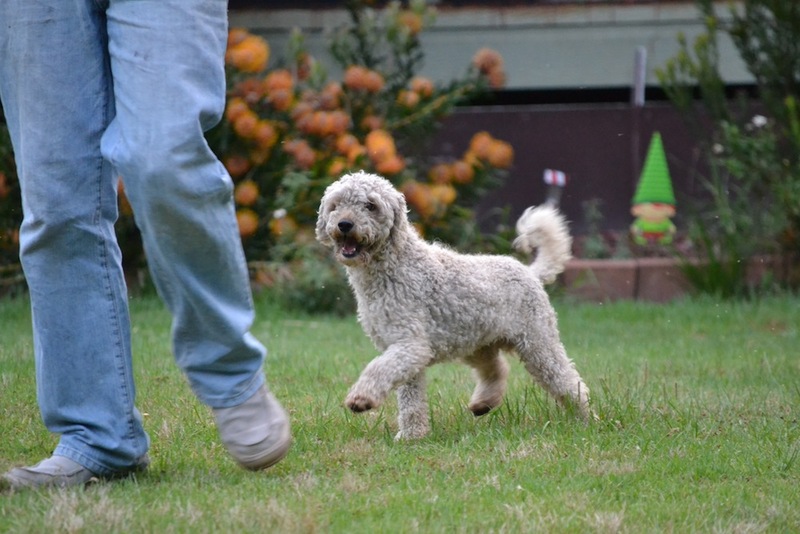 What we can do though is let you know the size in cm of your poodle parent and this will help you much more! Your puppy could be tall even if he or she seems small as a puppy. Your puppy could be bigger or small than his or her siblings – they each have a different DNA make up from mum and dad. They may also grow differently. There are very minor differences between the smaller and larger poodles. 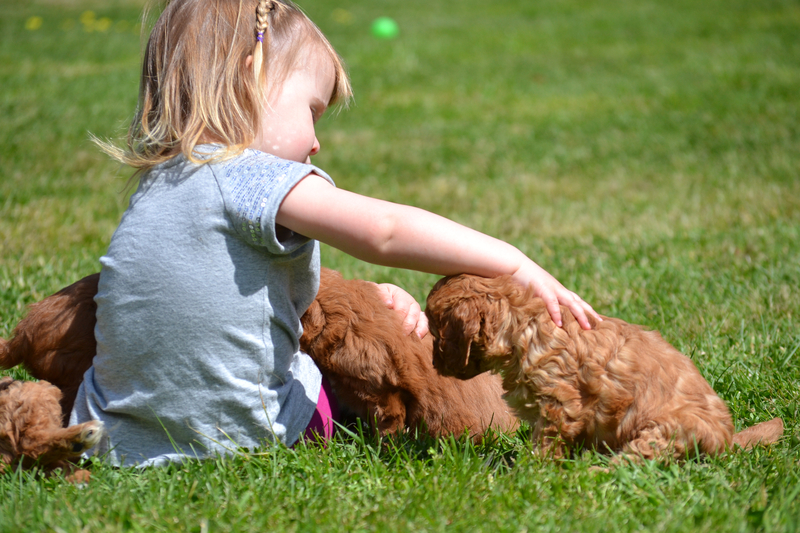 Because you have a cross bred puppy, being bred with a smaller poodle as the parent doesn’t necessarily mean that it will be as small as the poodle – you need to consider the other parent too. When you think about the size of your puppy, it could be 34cm high or 31cm high but the actual difference to your life may be minimal. The height is taken at the highest point of the shoulder (called the withers). Any of our mums and dads will produce a puppy with a similar, family-friendly temperament. Can I guess how big my puppy will get? We do know that you have an interest as to how big that your cavoodle, spoodle or groodle puppy will get – so although we cannot predict exactly, here is a graph that will help you see the approximate growth pattern of your puppy*. No dog will follow this exact same path (the same way that no child will follow the same growth path) but it may help give you an idea as to where the largest growth periods are for your puppy. Let us know if the graph seems right for your puppy or if yours differed! 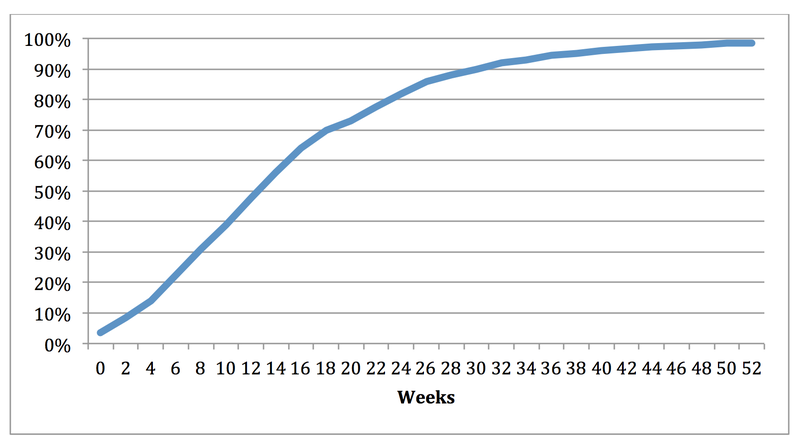 *NOTE: This graph is approximate and is not intended as a health or exact indicator for your puppy. 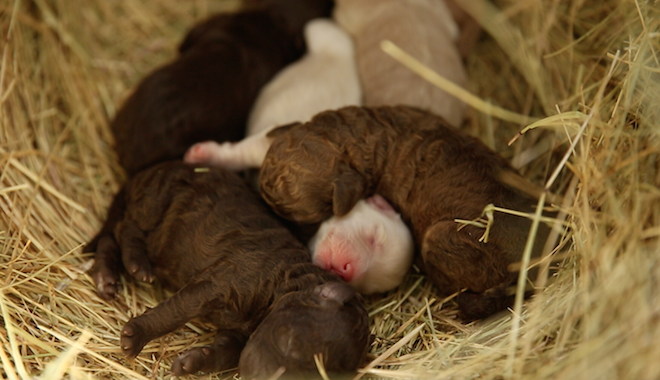 ← Banksia Park Puppies at the Beach! Hi to you. I just wanted to let you know that we bought one of your Beagaliers from Pines Pets to keep my lovely x Pugalier Pomeranian happy after our old x Staffi died in December. She was born on December 1st to Mum Cana. She is the gruff looking little girl who is keeping Frankie on his toes. We have named her Lotti and couldn’t be happier. Lotti, Frankie and cat, Tibo having a morning schnooze. Notice Tibo is pretending there is NOT a puppy lying on the bed! Thank you for sending us a gorgeous addition to our family! This email and any attached files are confidential and may be privileged or otherwise protected from disclosure. If you are not the intended recipient, please notify the sender immediately and delete this email and any attachments from your system, and do not store, copy or disseminate them or disclose their contents to any other person. Views and opinions expressed in this email or attachments are those of the author and are agreed or authorised by PENNY HARRIS PTY LTD and its associated companies. Thanks for letting us know Penny! That’s great to hear that your new member to your family is going so well with you.